I received the following email from CASAA earlier today and felt it was worth sharing with you guys. Rather than attempt to summarize everything, I’ll just leave the message below for you to read in its entirety. Basically, no action is needed from us at this point, but we will have a big part to play in the near future. I thought this was a good occasion to urge you to join CASAA today, if you haven’t already. That way, when these calls to action arrive, you’ll receive a notification of what you can do and who to contact. CASAA makes it very easy for us to get involved—it usually only requires a few minutes of your time to submit a form/pre-written letter. If you believe this industry is worth protecting, I’d say that’s time well spent! 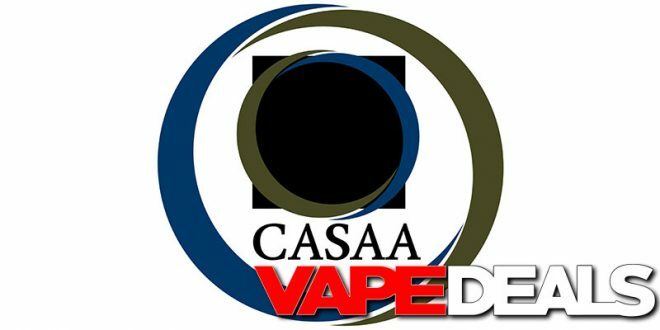 We all agree that there are short term and long term policy changes that must be made to ensure a robust vapor product industry in this country, but we are focused today on a near-term step – Changing the “Predicate Date” in Congress – which will allow all products on the market before 8/8/2016 to stay on the market and remain available to consumers. I’m a bit surprised I didn’t get this, I’m a monthly contributor. Anyway, I posted it on the ECR Reddit, along with a short summary – more people will see it.